Milwaukee, WI and Andover, MA – Elekta (NSE: EKTAb) and Royal Philips (NYSE: PHG, AEX: PHIA) announced today that the Froedtert & The Medical College of Wisconsin Clinical Cancer Center (Milwaukee, Wisconsin) will join a consortium that is investigating the development of a magnetic resonance imaging (MRI) guided radiation therapy system*. "The Froedtert & Medical College of Wisconsin Clinical Cancer Center is an exceptional addition to the consortium," says Tomas Puusepp, Elekta President and CEO. "It is a nationally renowned cancer research institute, boasts in-depth expertise in every kind of cancer, is staffed by fully coordinated specialist teams and uses the latest innovative therapies and technologies." The Froedtert & Medical College of Wisconsin Clinical Cancer Center is the fifth member to sign the research agreement to evaluate the new technology, which unites radiation therapy and MRI in a single system. Current clinical members of the group include the University Medical Center Utrecht (Utrecht, the Netherlands), The University of Texas MD Anderson Cancer Center (Houston, Texas), The Netherlands Cancer Institute-Antoni van Leeuwenhoek Hospital (Amsterdam, the Netherlands) and Sunnybrook Health Sciences Centre (Toronto, Ontario). 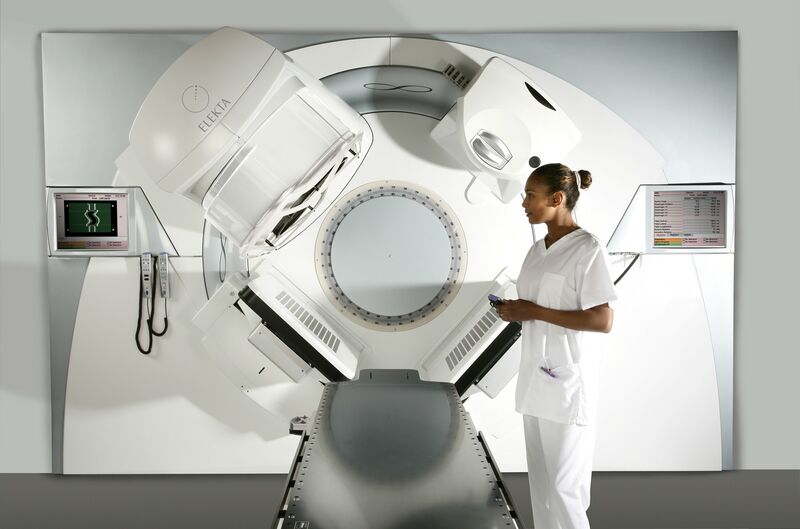 Integrating an advanced 1.5 Tesla MRI machine with a sophisticated adaptive radiation therapy system* will provide physicians with depictions of a patient’s soft tissues and tumor and allow them to dynamically track their motion. This innovation is designed to enable clinicians to deliver radiation under real-time MR guidance. "We are eager to join this consortium of leading institutions. The research and clinical faculty of our cancer center will bring a wealth of expertise and experience to the exploration of MR-guided radiation therapy," says J. Frank Wilson, MD, Chairman, Director Emeritus of the Froedtert & Medical College of Wisconsin Clinical Cancer Center. The delivery system of the future will be adaptive, enabling real-time changes to radiation treatments that respond to changing anatomy, tumor response and potentially to changes in tumor biology that occur during treatment." 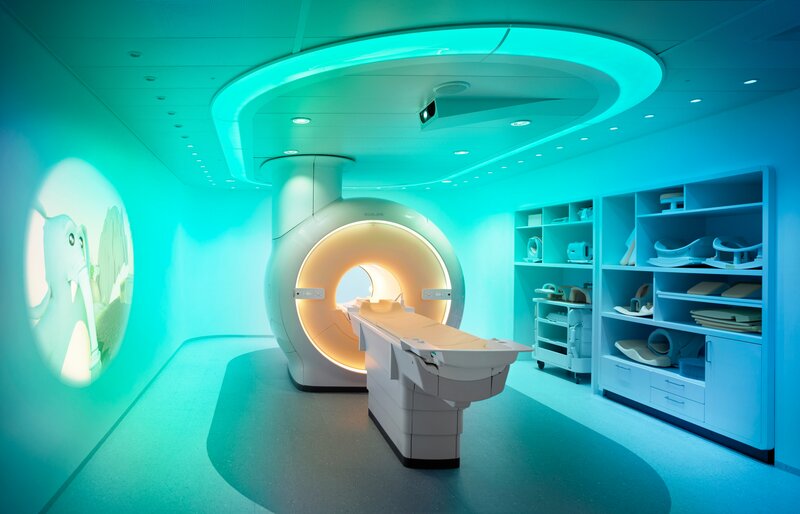 "Combining adaptive radiation therapy with real-time MR imaging is a powerful new concept that has the potential to redefine the standard of care in radiation oncology," says Gene Saragnese, CEO Imaging Systems at Philips Healthcare. "Partnering with clinical centers of excellence like the Froedtert & The Medical College of Wisconsin Clinical Cancer Center will enable us to explore the clinical applications of this new technology and ultimately create the future of healthcare."